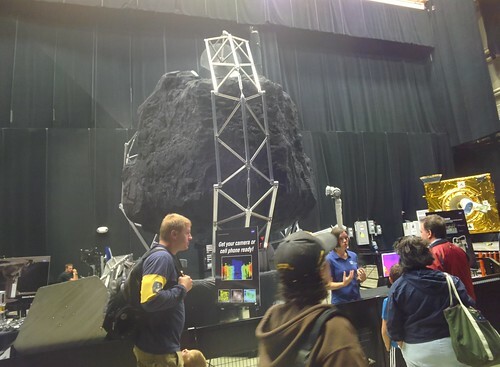 Saturday was Open House Day at NASA Goddard Space Flight Center. 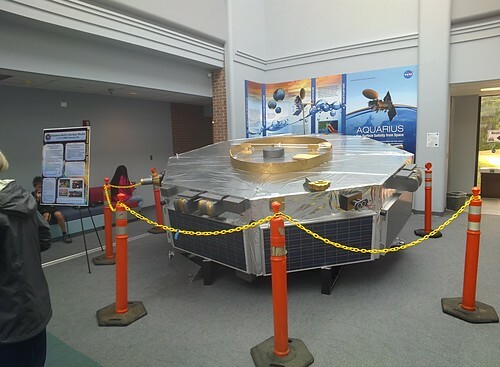 I’d been there for some video work in Heliophysics and the Visitor Center earlier in the week, but I did want to return to see the other facilities which would be open to the public. 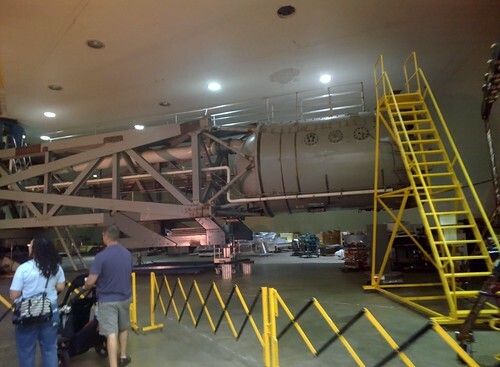 Buildings 7 and 29 were the highlight for me: the Spacecraft Integration and Testing Facility with its Space Environment Simulators, acoustic bays, and massive centrifuge; the High Bay Clean Room where the James Webb Space Telescope is being assembled; and the “Cauldron” satellite tech test bed. 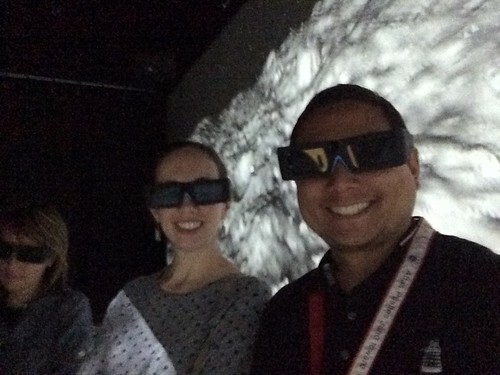 Over in Building 28 were the Flight Dynamics Facility and CAVE — a holodeck-like 3D visualization environment simulating Asteroid Bennu and the OSIRIS-REX mission. 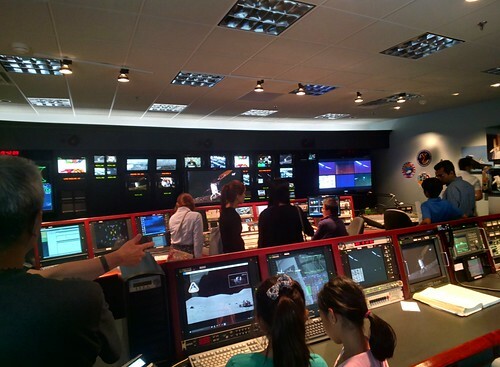 The NASA TV control center was there too, and a life-size MMS model and a climate simulation server farm. 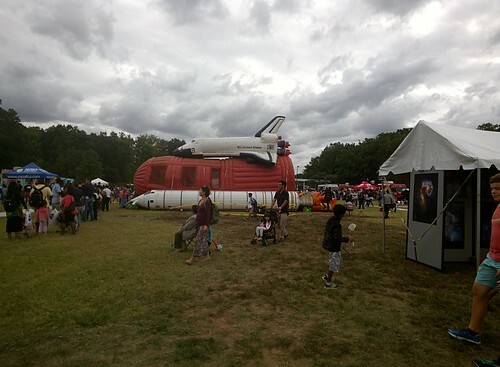 And of course there was a bouncy space shuttle. Or technically, a bouncy Shuttle External Tank. We really only got to see a fraction of what there was to see; the GSFC campus is sprawling and there are many buildings, but I wanted to leave a bit early to beat outgoing traffic. 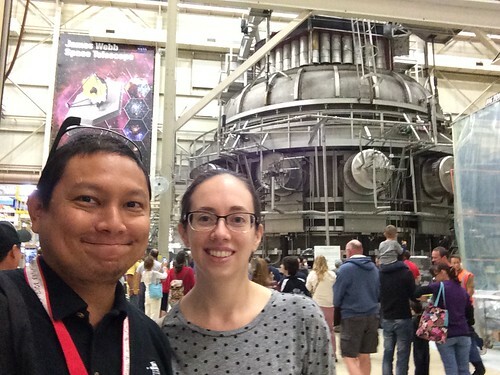 More Explore@NASAGoddard photos here.